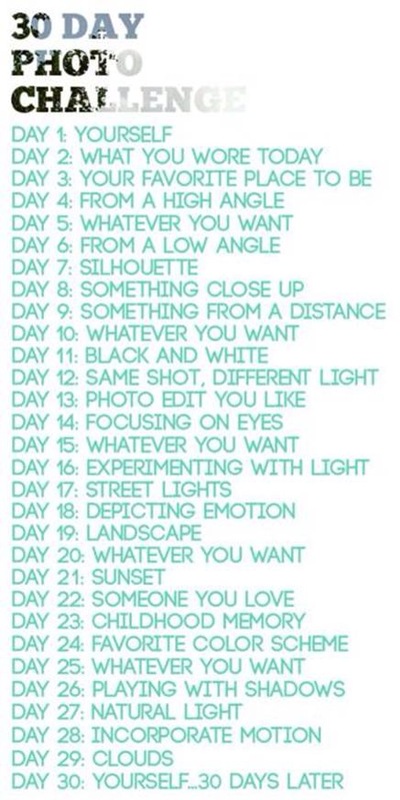 I love the concept and I have tried a few times to do these photo challenges. And usually I fall off completely after three or four days. But I am really trying to be committed to taking more pics and documenting life, so I am going to give it another go. Here is the challenge I am trying this time around. Do it with me! If you take the challenge, let me know how you do!